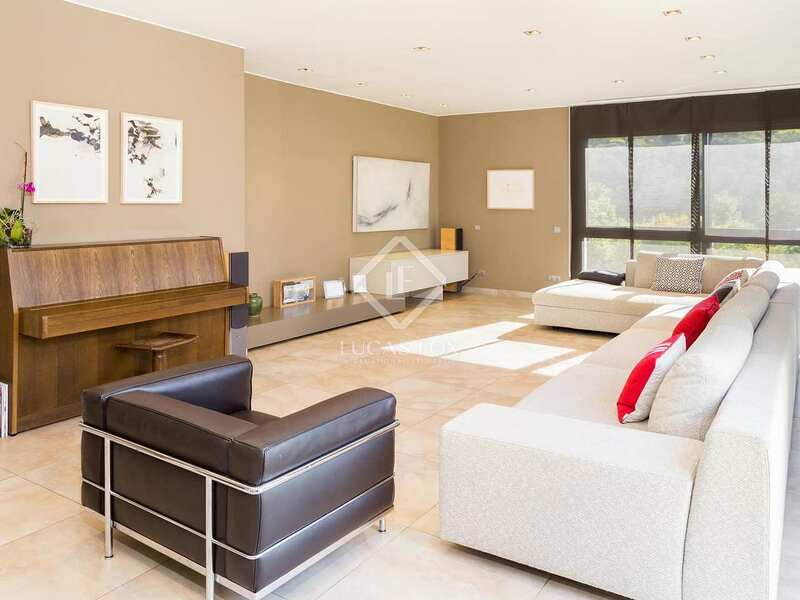 Beautiful renovated family house with private garden, communal pool and garage for 4 cars, for sale in Sant Just Desvern. 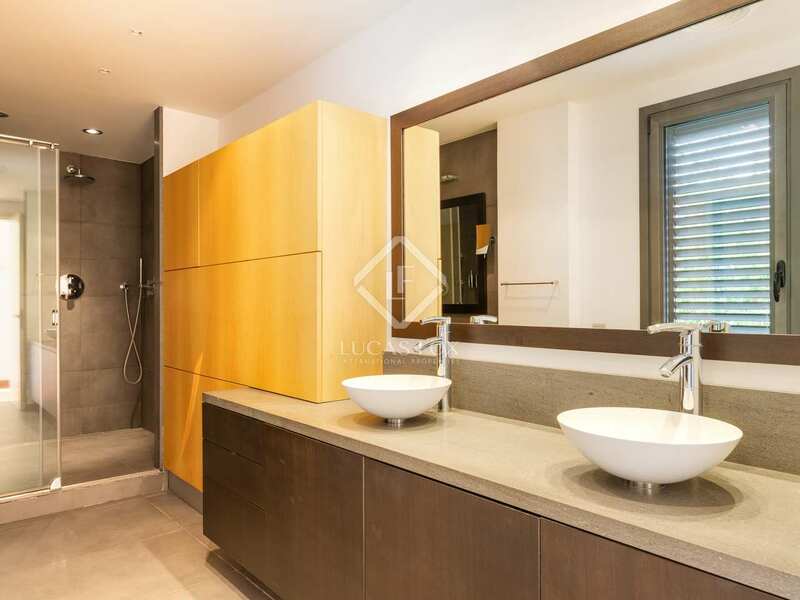 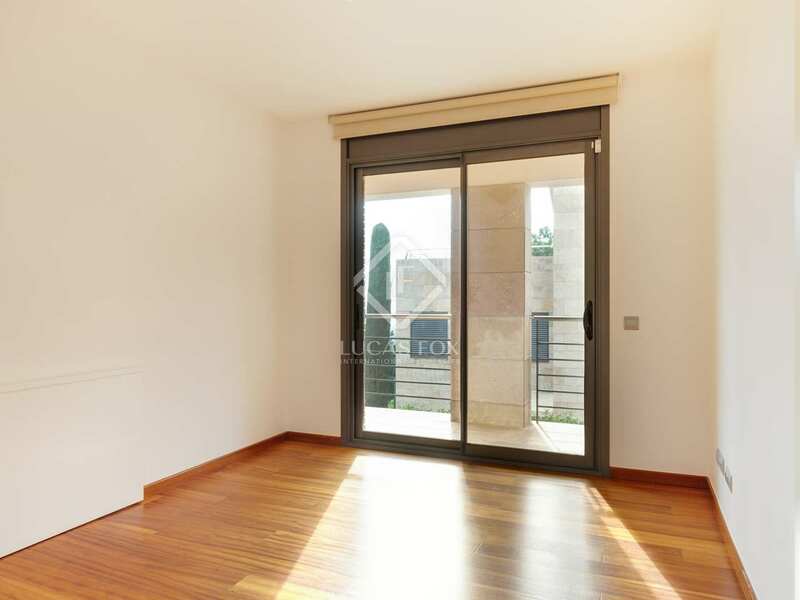 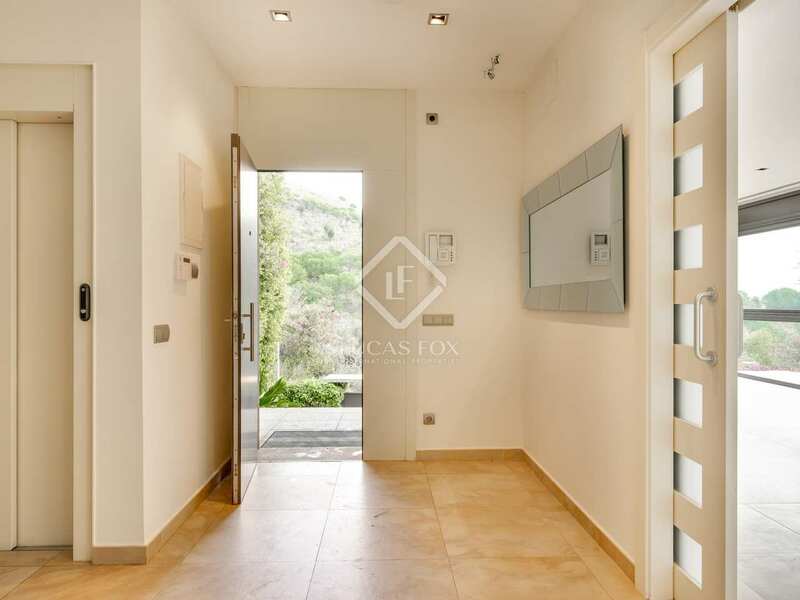 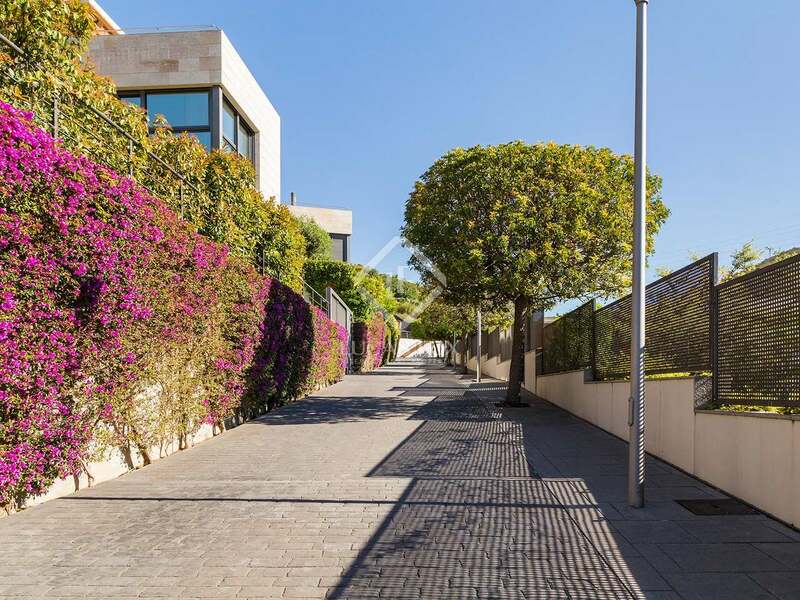 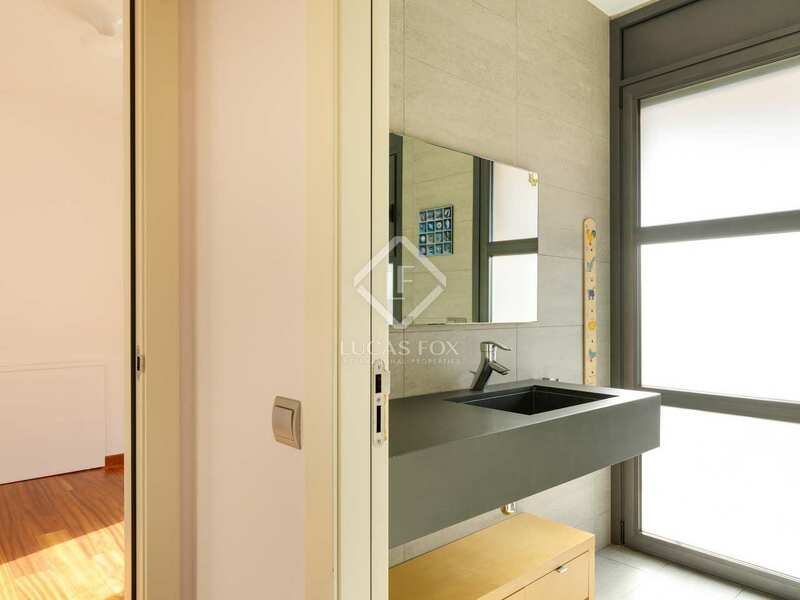 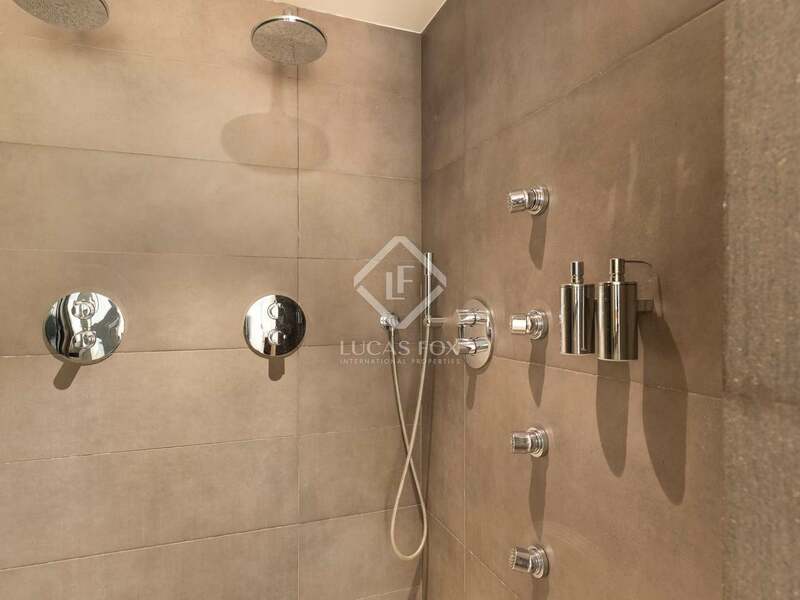 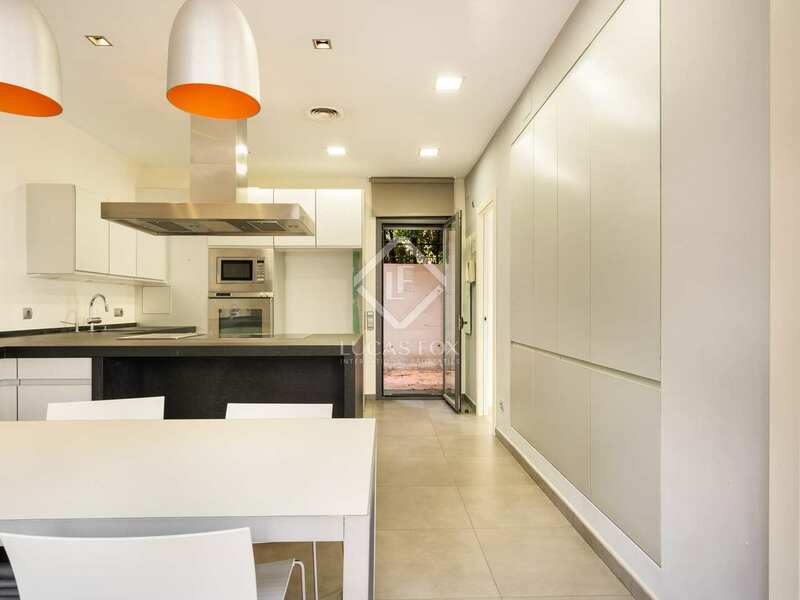 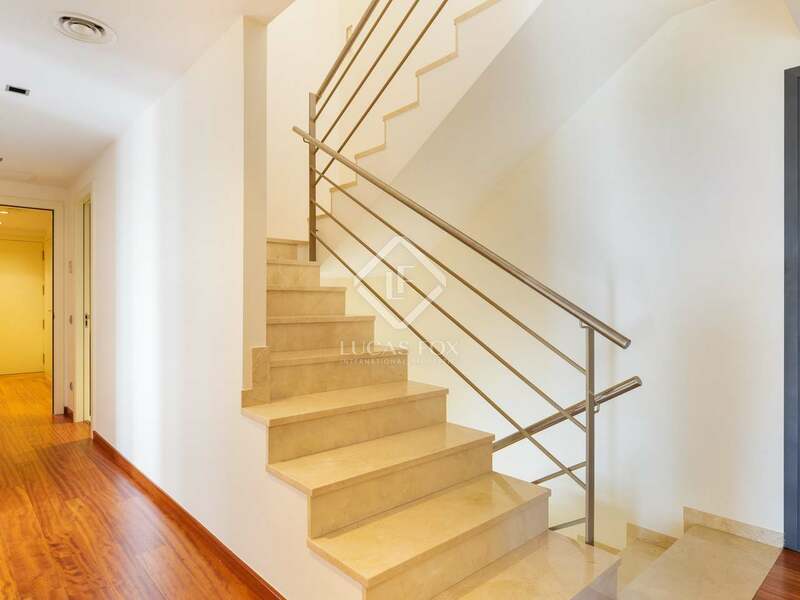 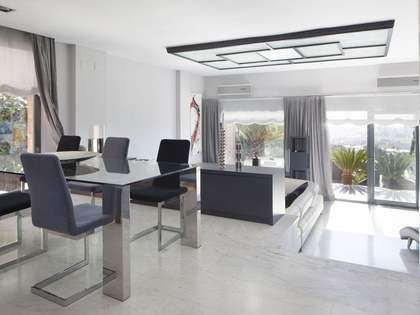 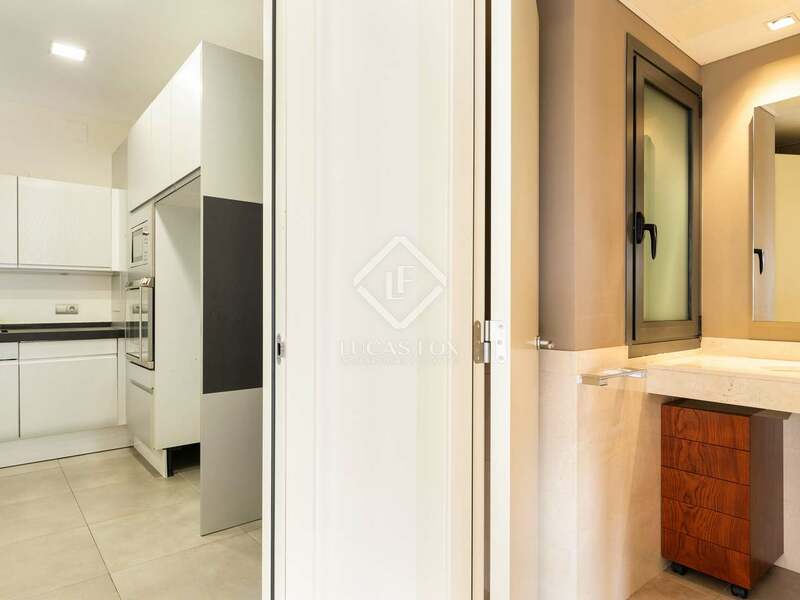 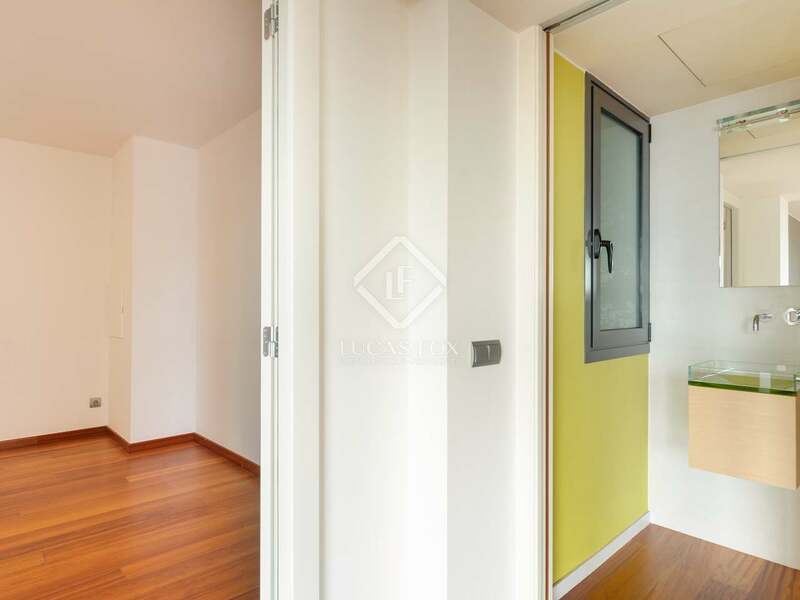 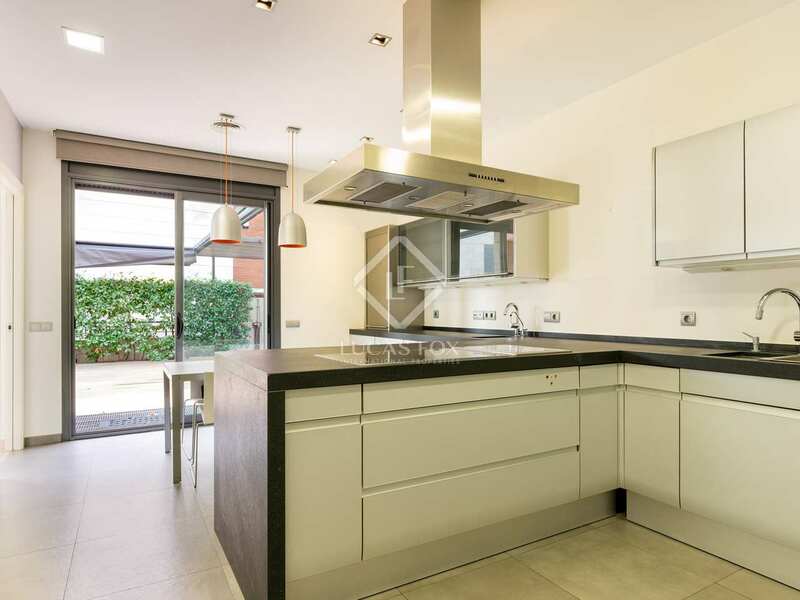 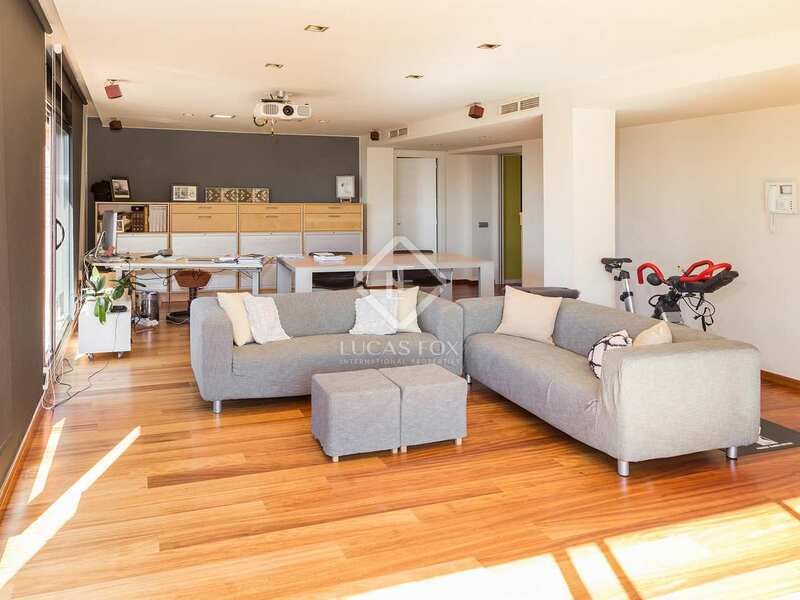 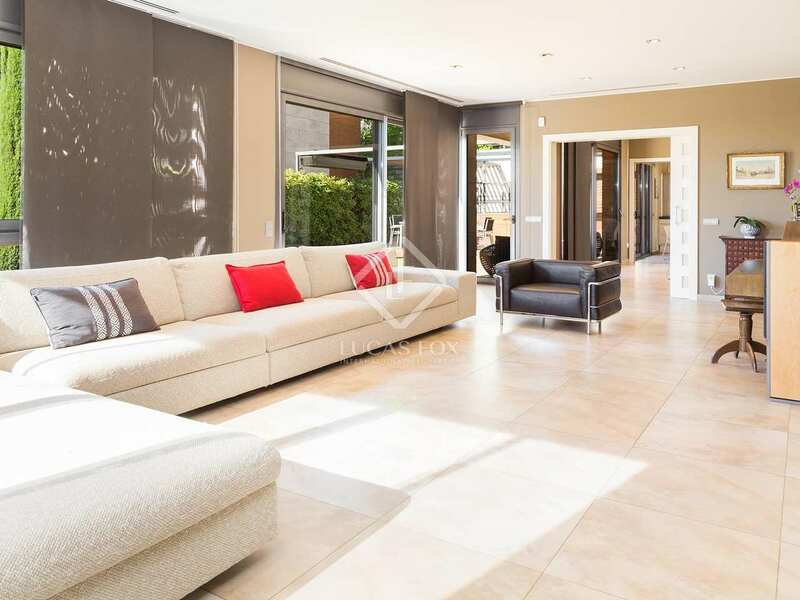 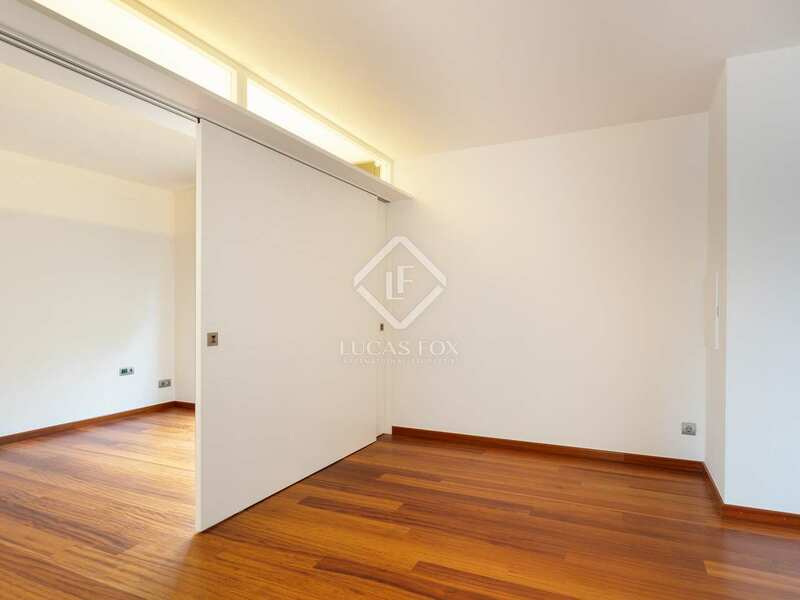 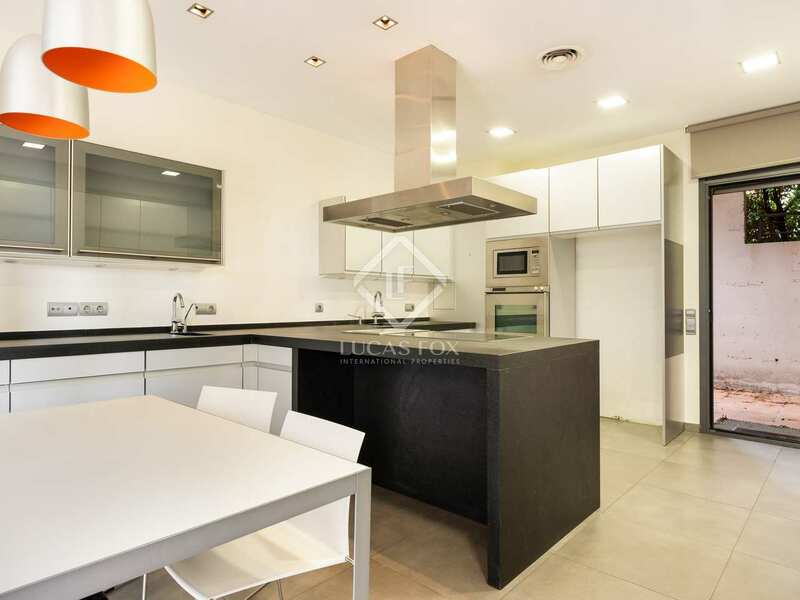 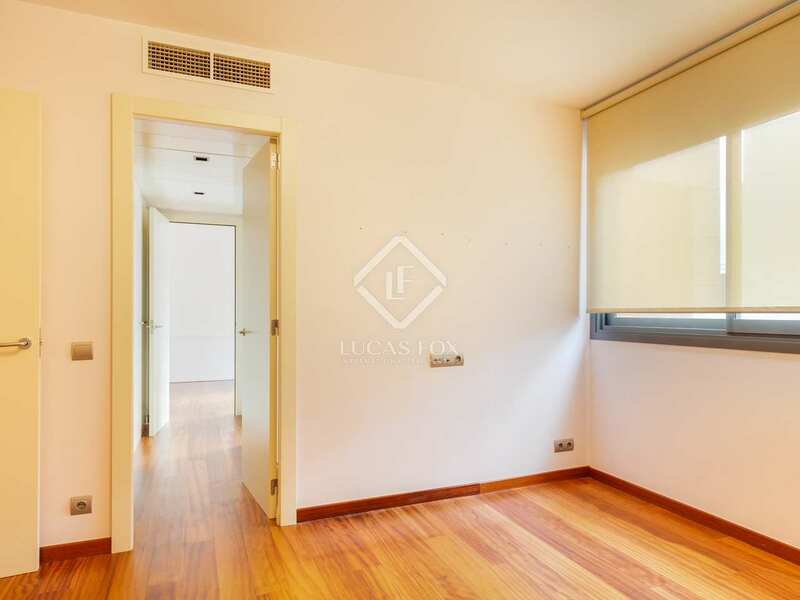 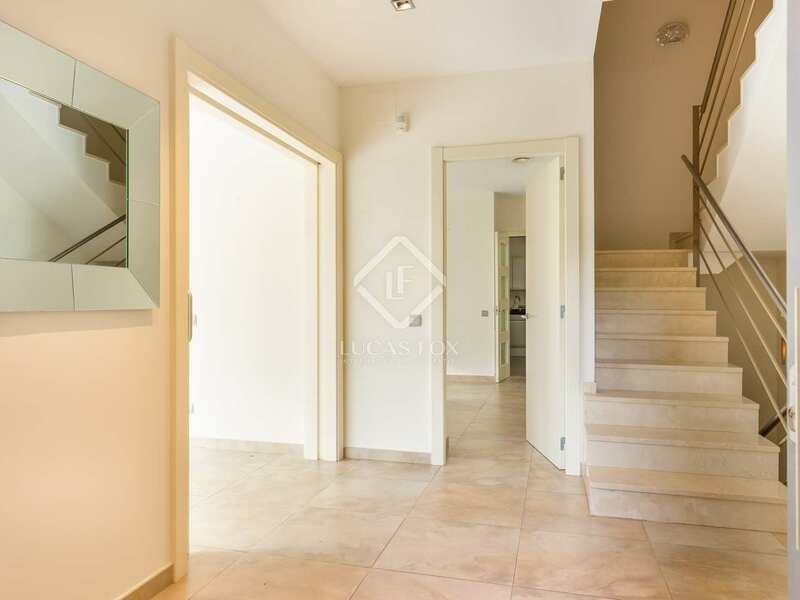 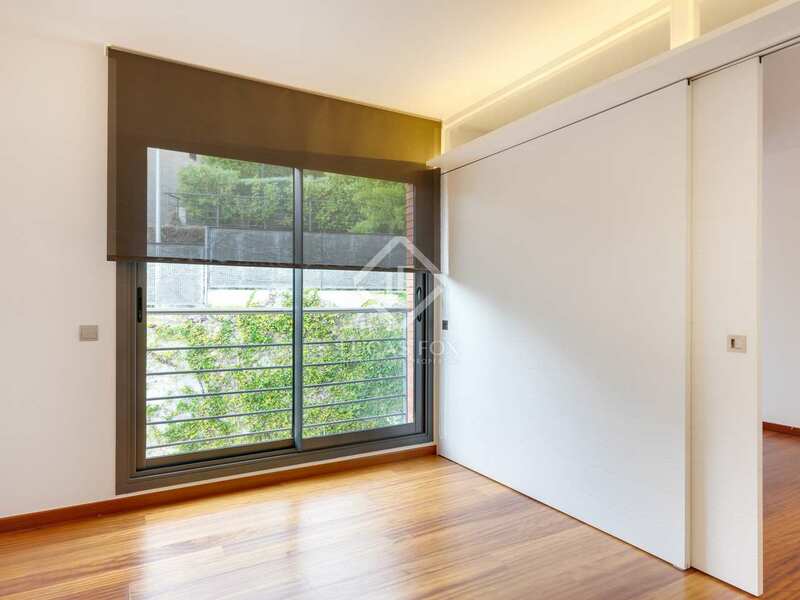 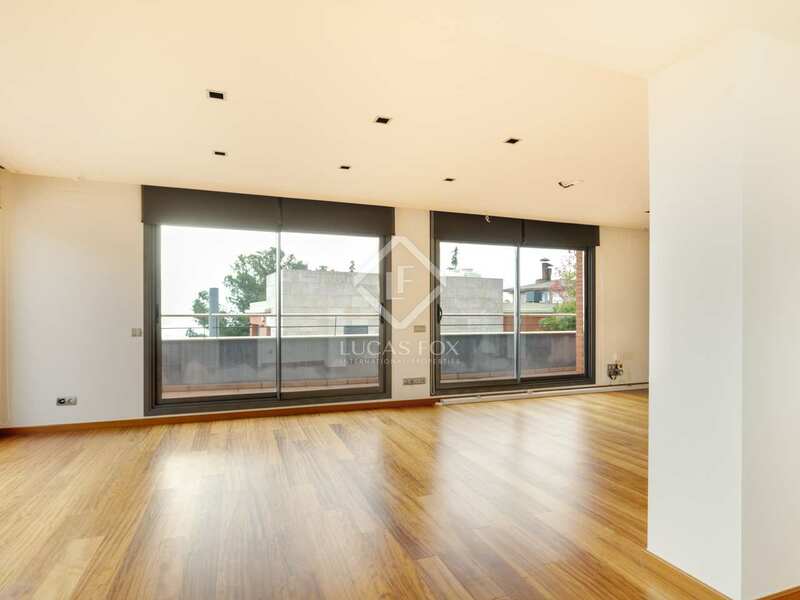 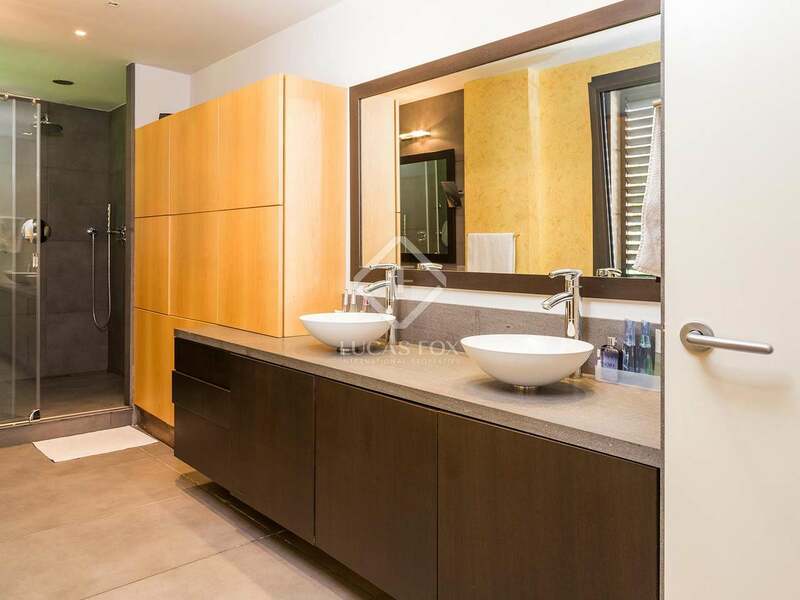 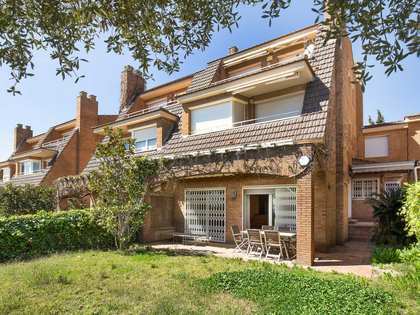 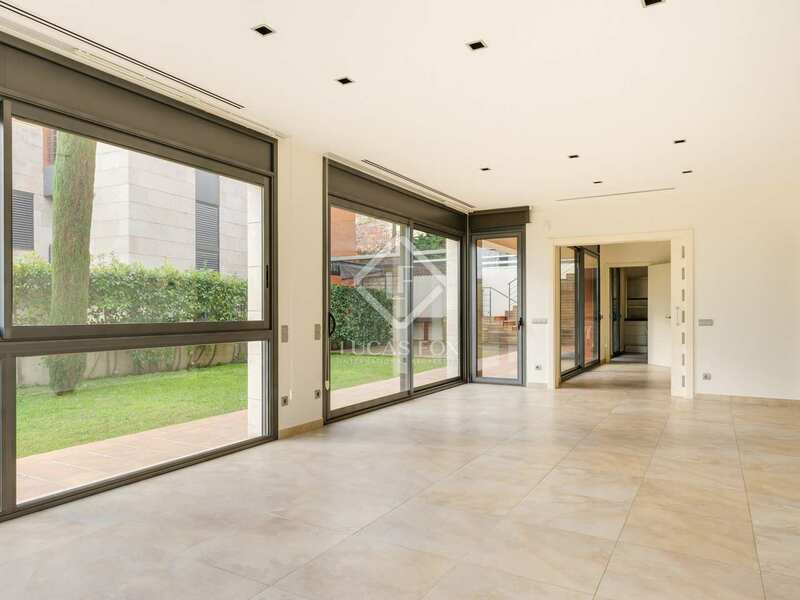 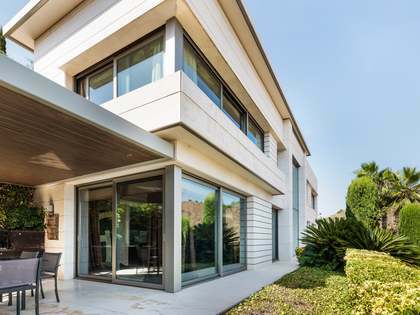 This beautiful renovated family home is located in Ciudad Diagonal, a prestigious area of ​​Sant Just Desvern. 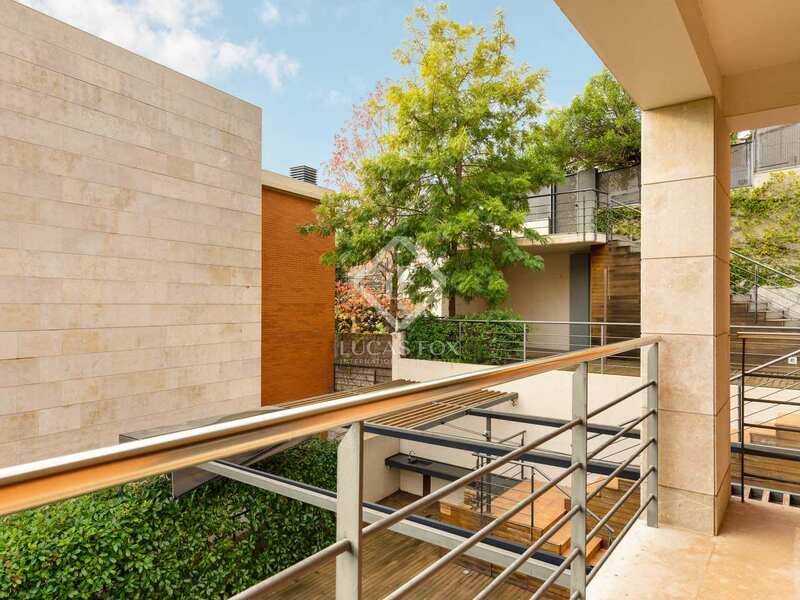 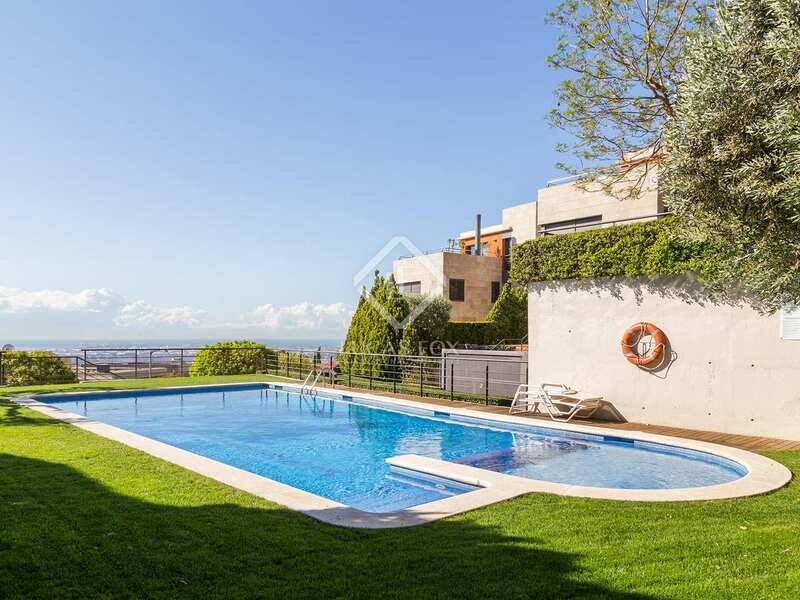 It is located in an exclusive residential community with a communal pool. 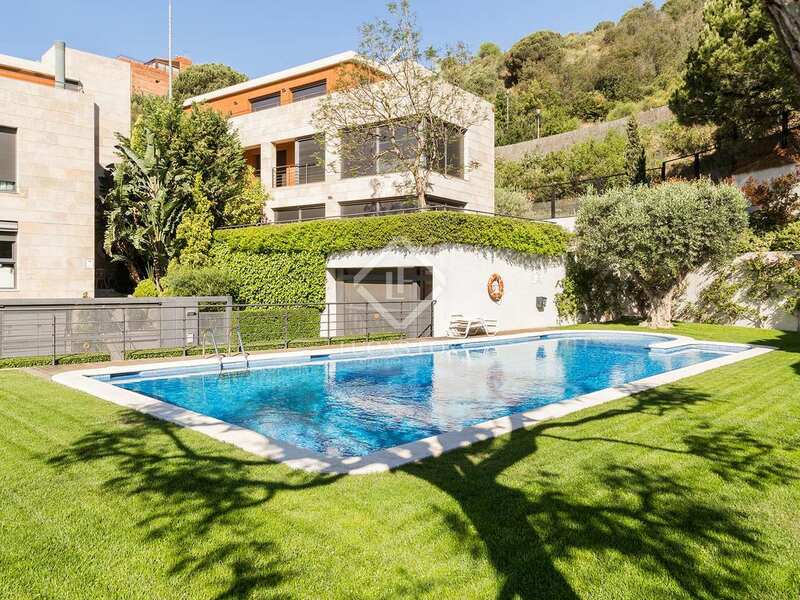 The house measures more than 500 m² and is distributed over 4 floors. 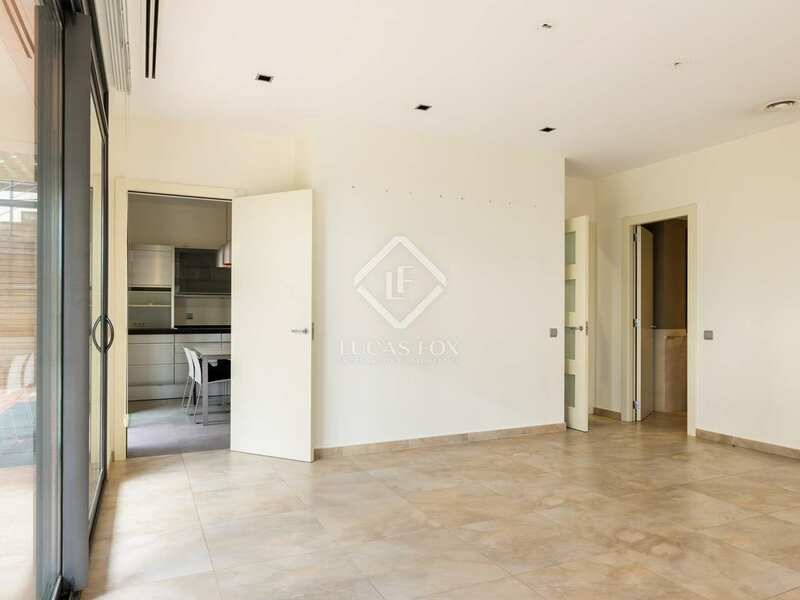 On the ground floor we find the entrance hall, followed by the living room, the dining room and the kitchen with high-end appliances. 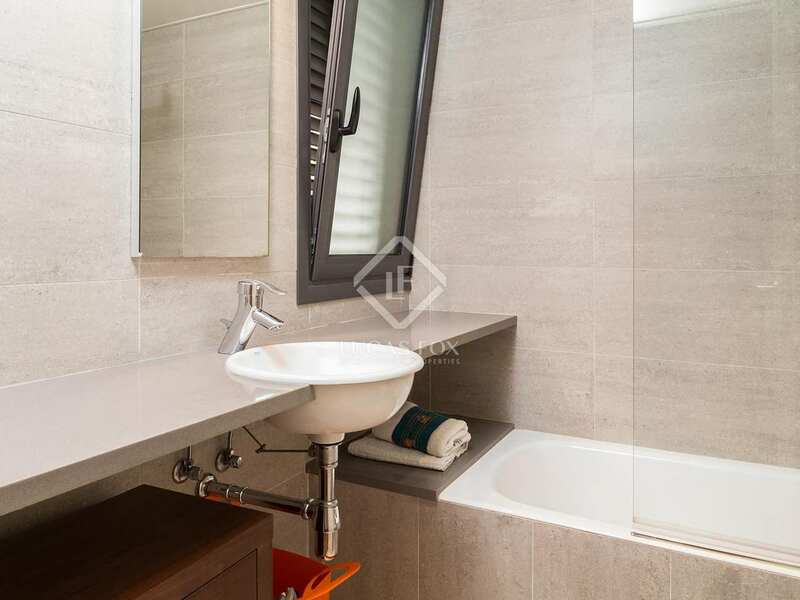 This floor is completed by a guest toilet. 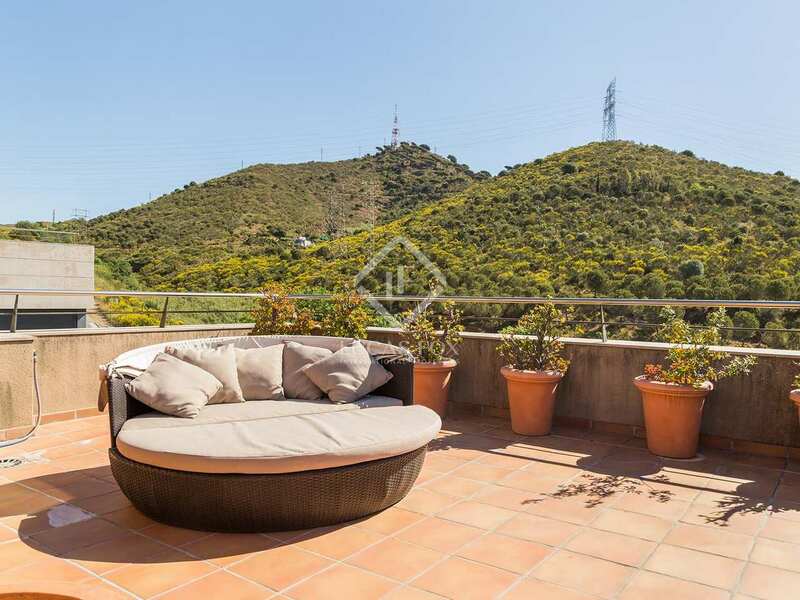 In addition, from here we can access a large terrace and the magnificent private garden. 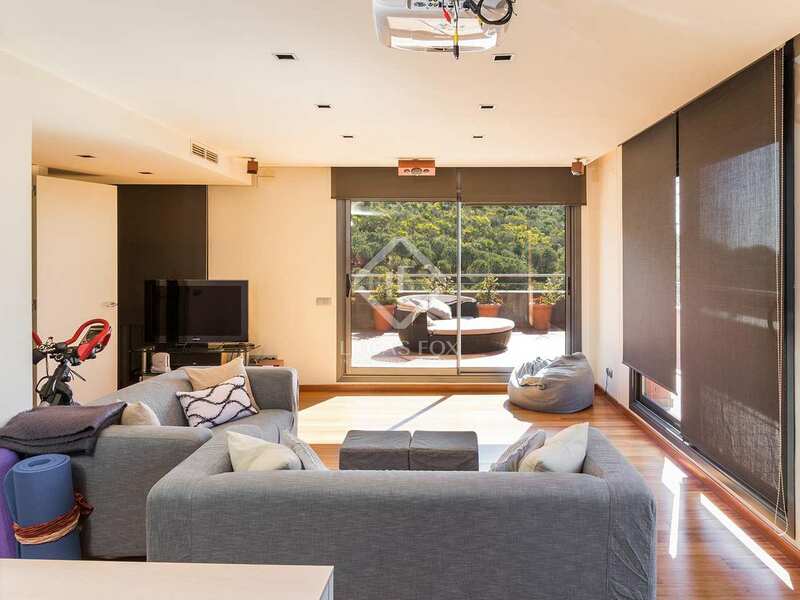 The night area is divided between the upper floors. 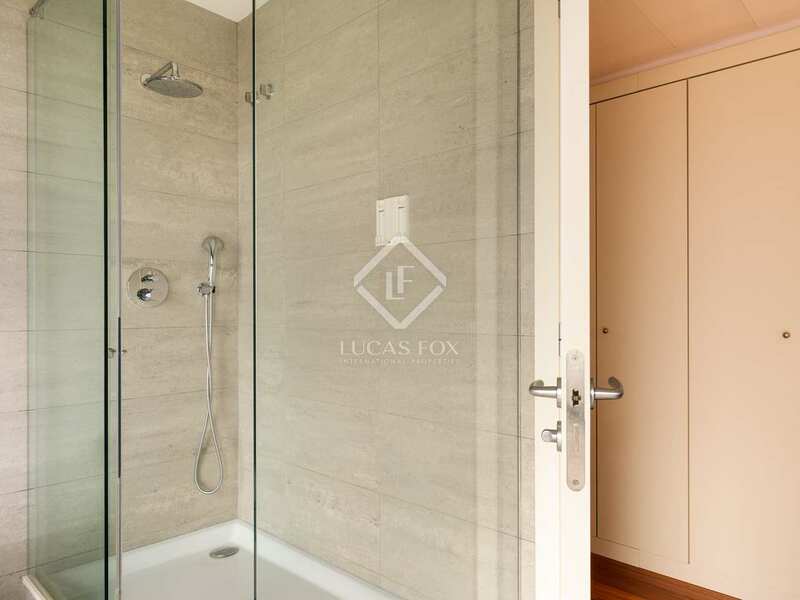 The first floor has the master bedroom with private bathroom and dressing room, as well as 2 double bedrooms with a shared bathroom. 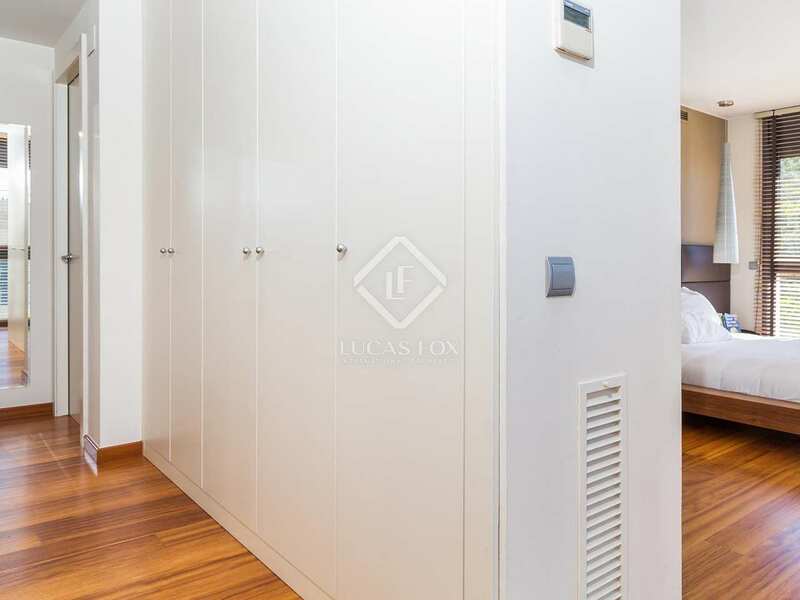 These rooms are distributed by a hallway with practical fitted wardrobes. 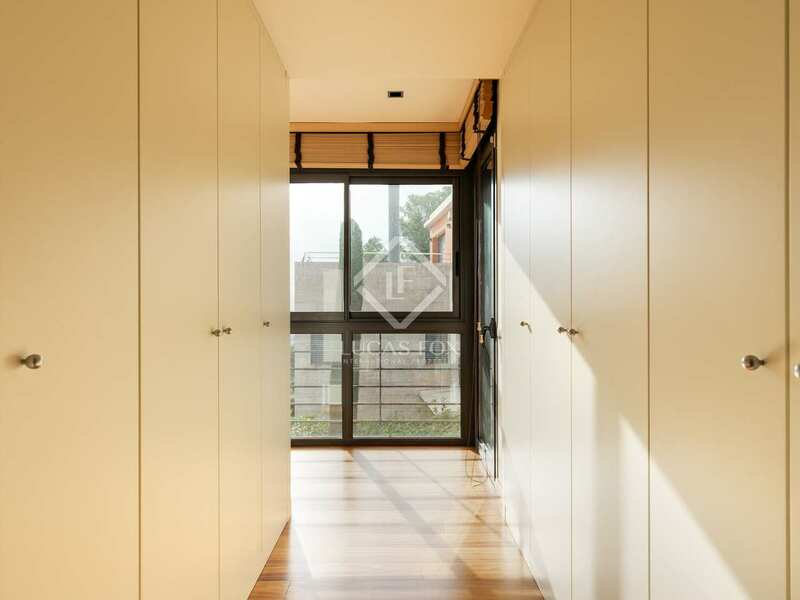 On the second floor is the guest bedroom, along with a bathroom and a large study / office. 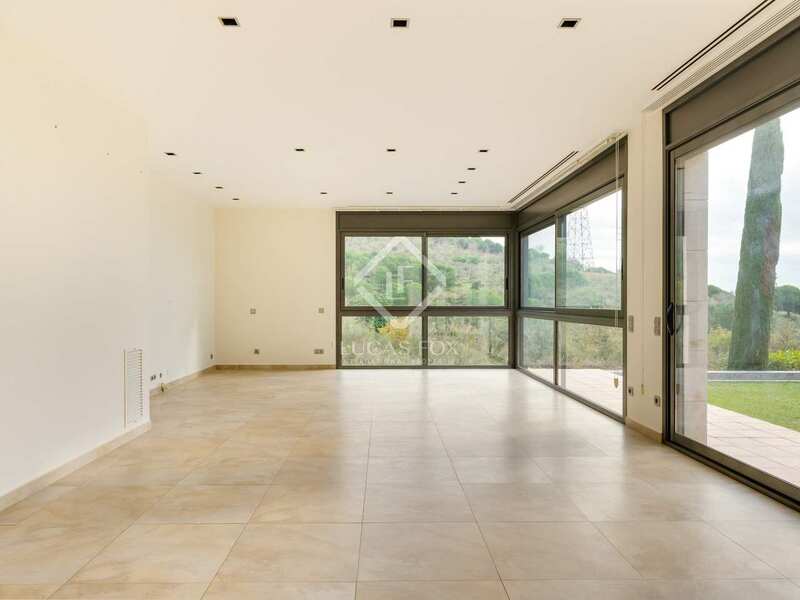 This floor also has a large terrace. 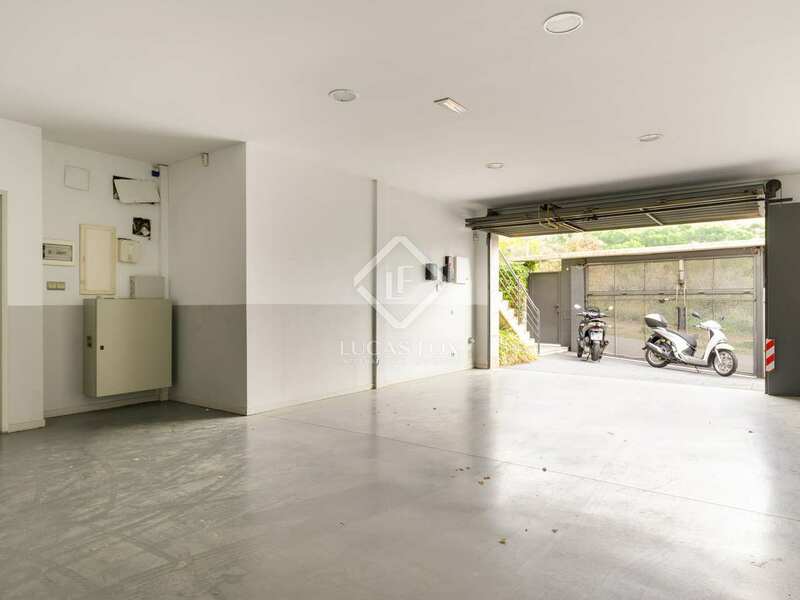 Finally, in the basement we find a car park for 4 cars, a storage room, a bathroom and the laundry room. 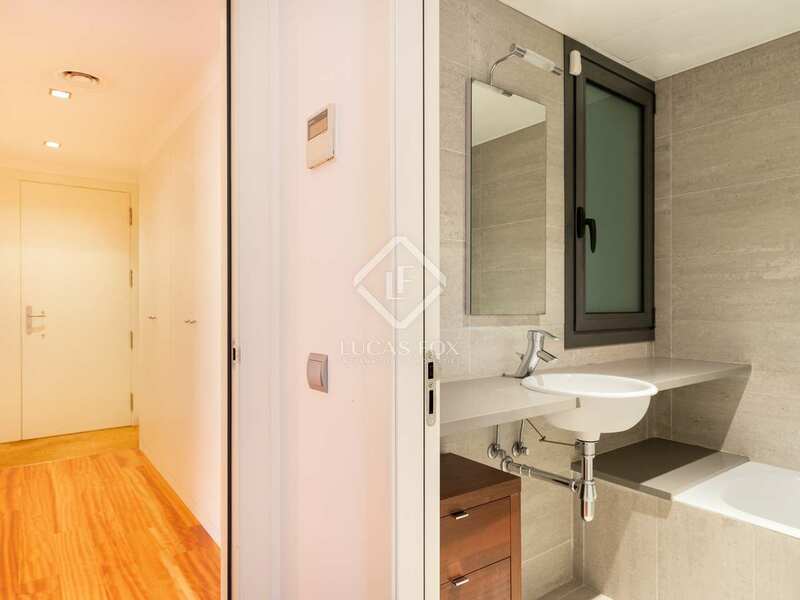 There is also accommodation for the service staff. 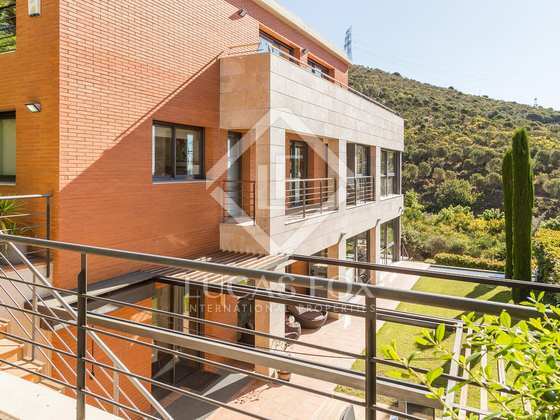 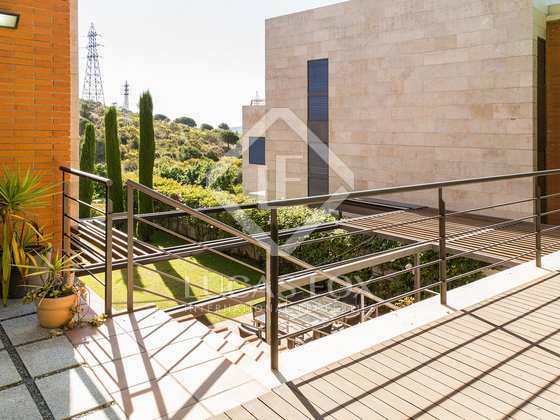 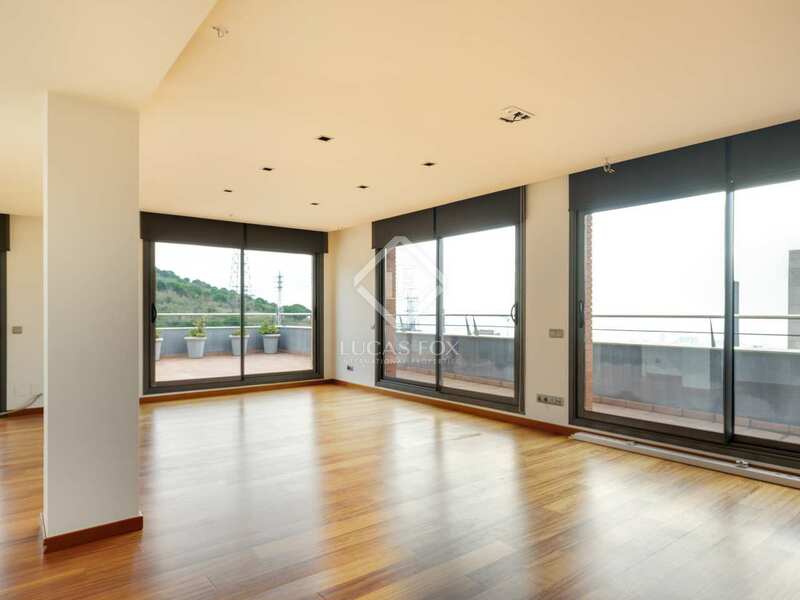 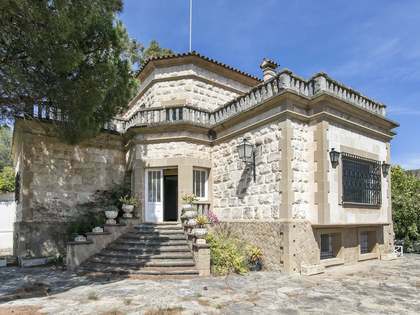 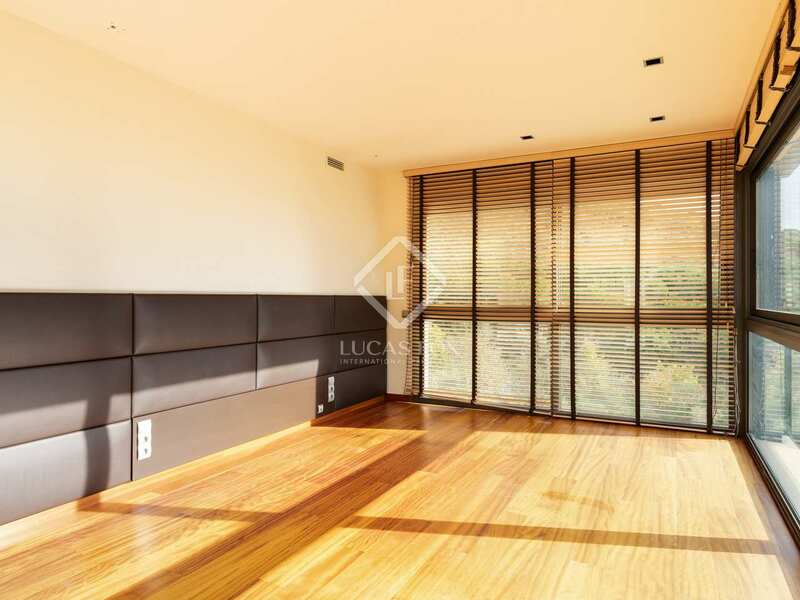 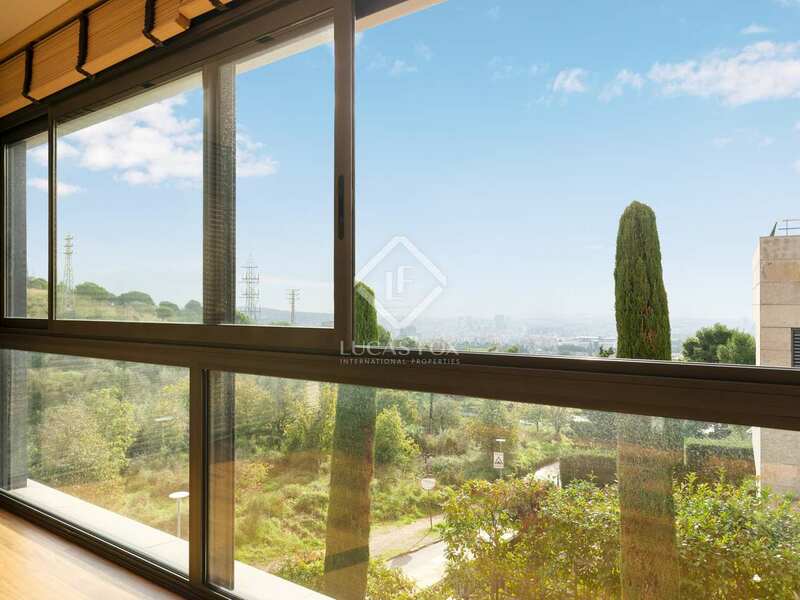 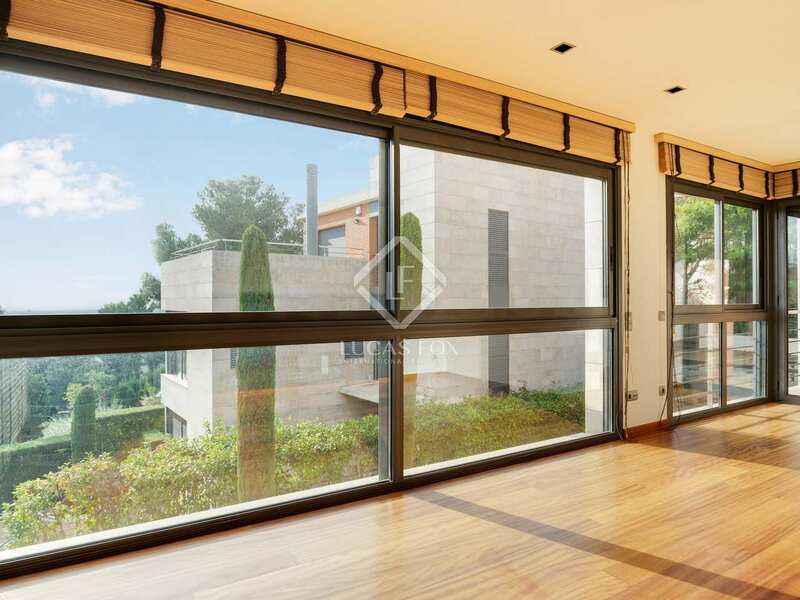 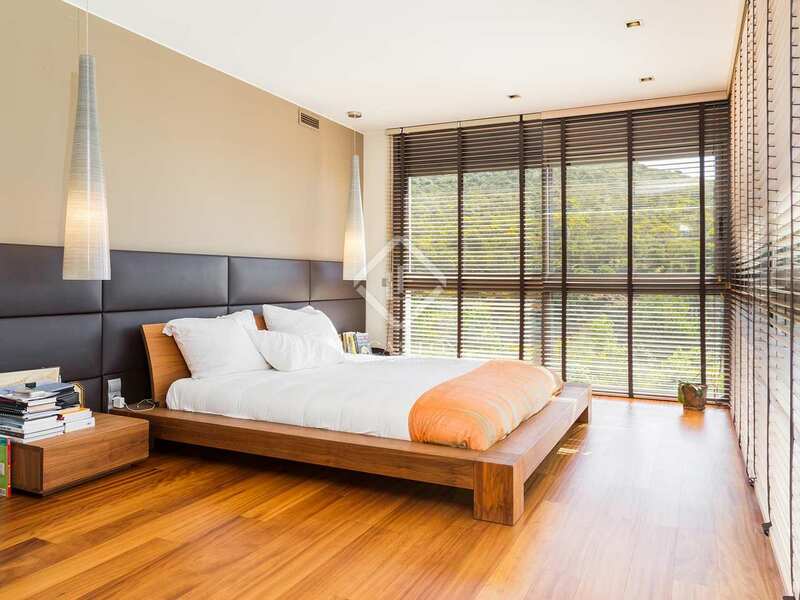 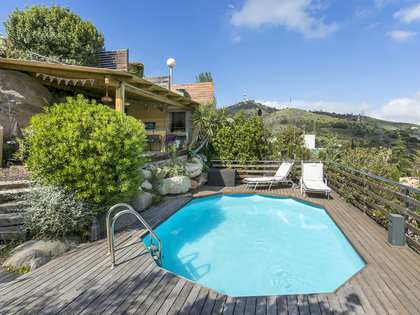 The house is presented in excellent condition, as it is renovated, and enjoys spectacular views of Barcelona. 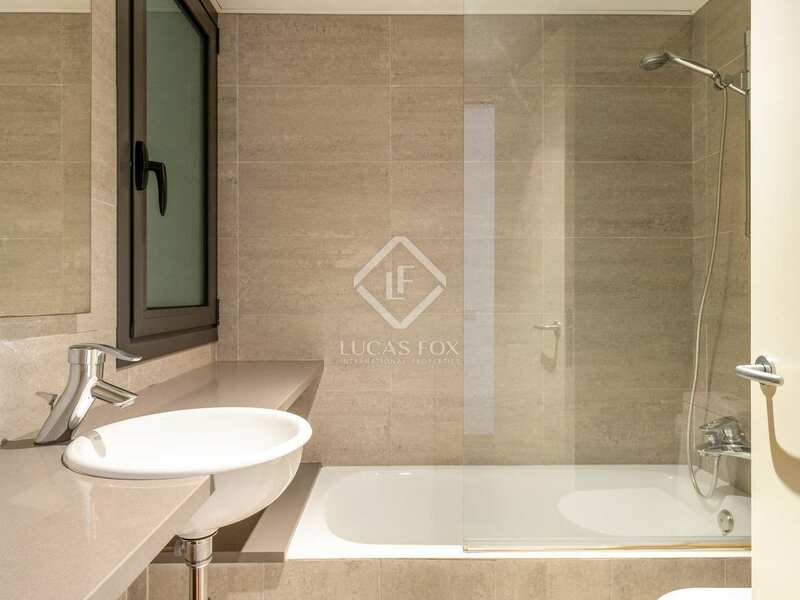 For maximum comfort, it has finishes of the best quality, such as air conditioning, heating and double glazed windows. 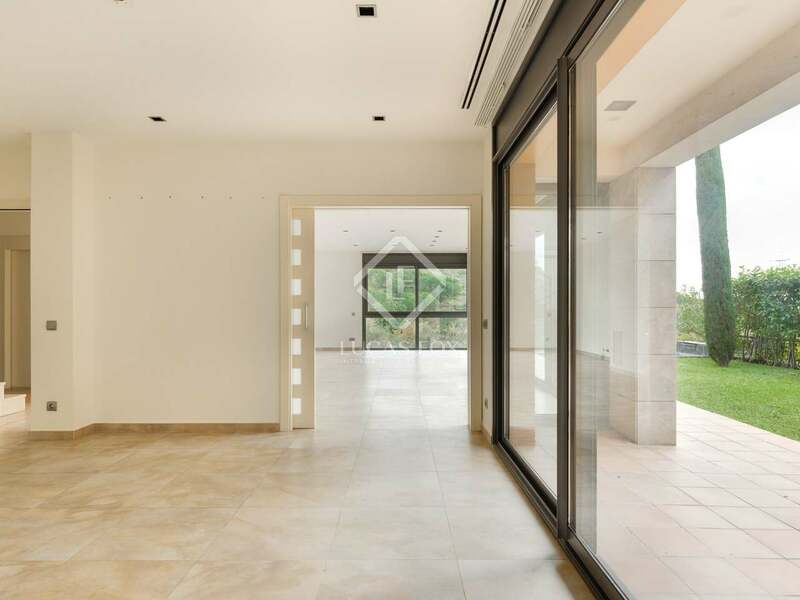 It is delivered unfurnished. An ideal family home with lots of outdoor space. 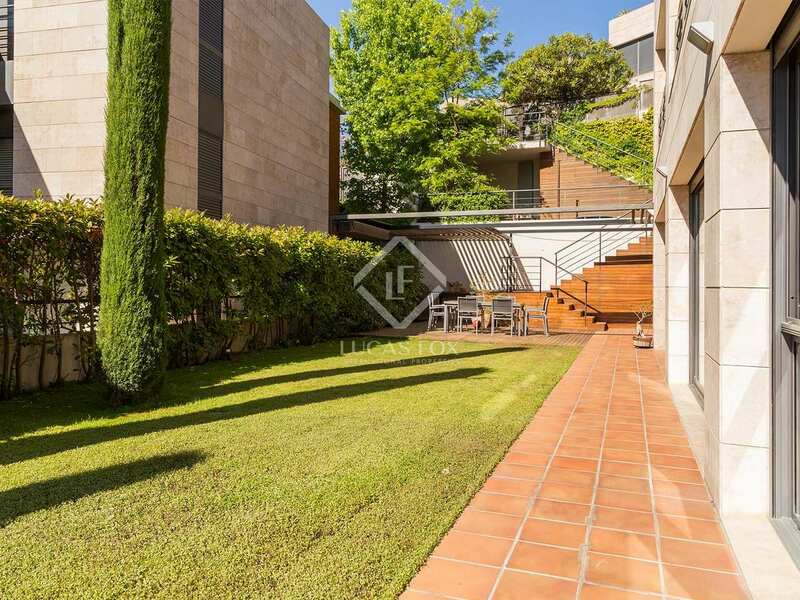 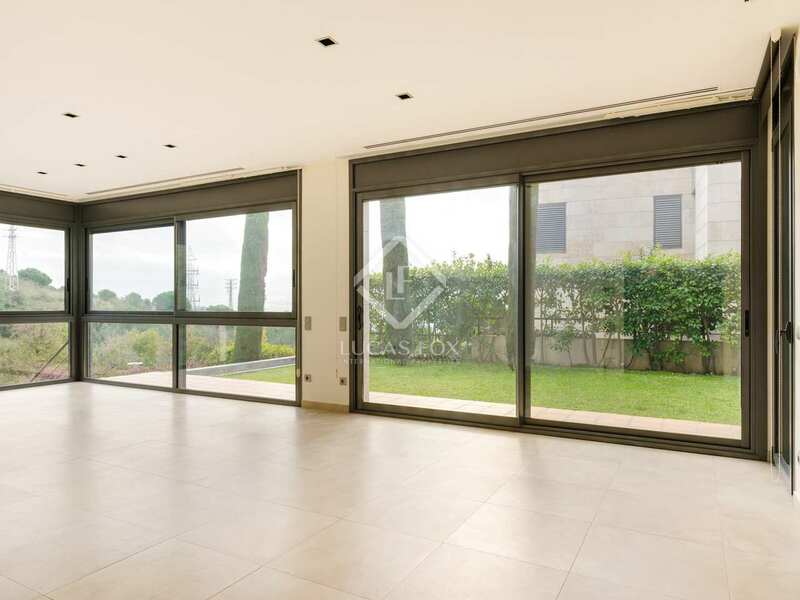 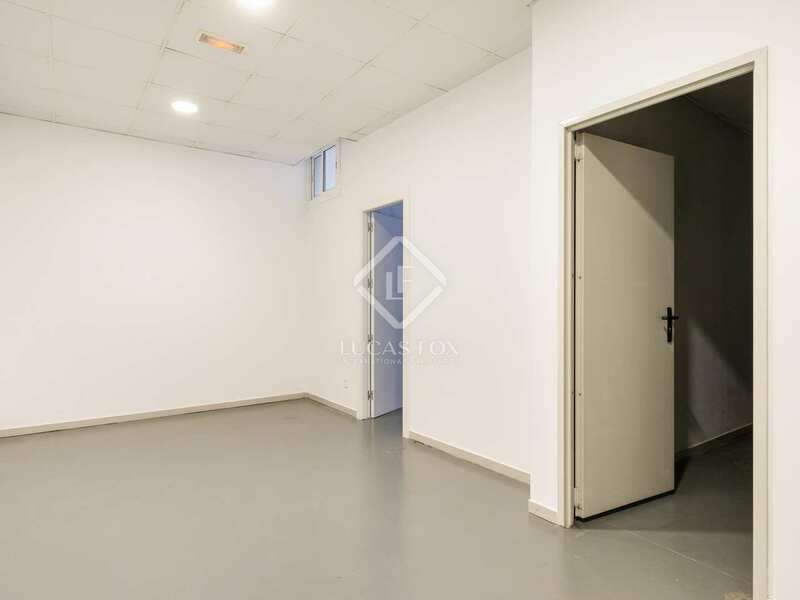 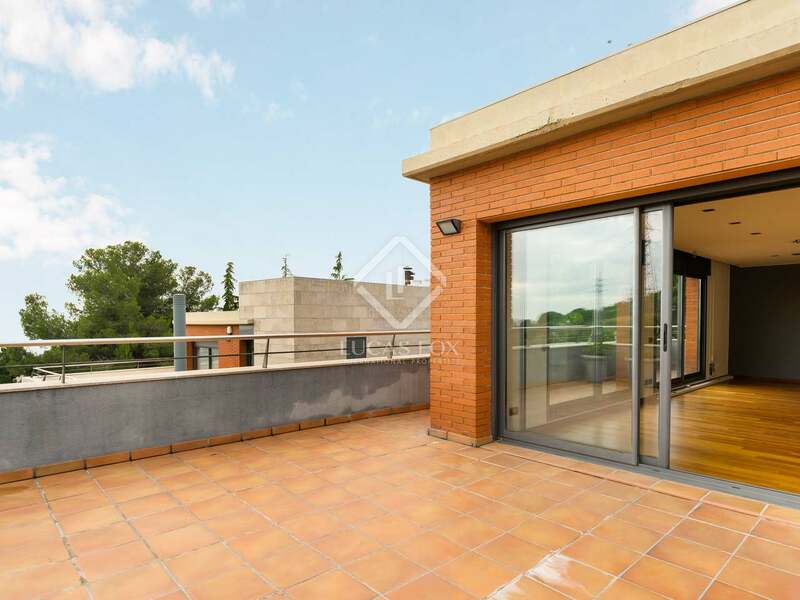 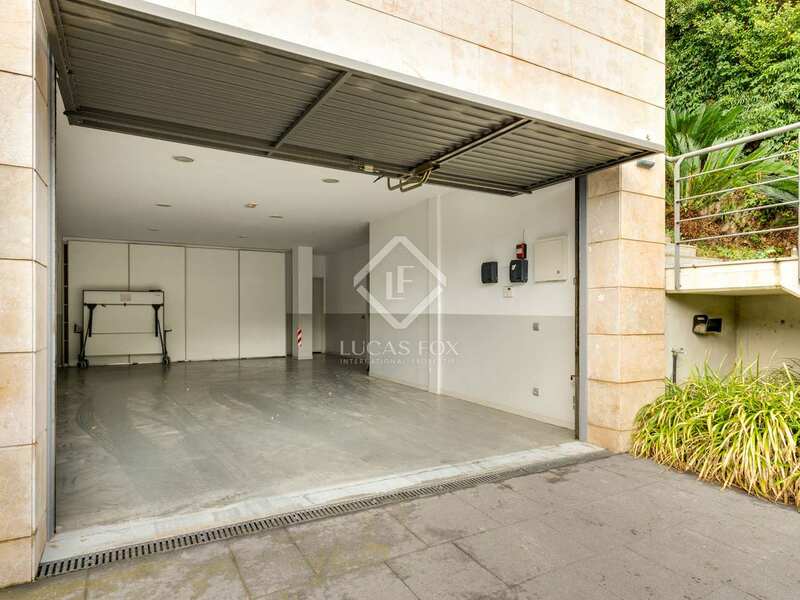 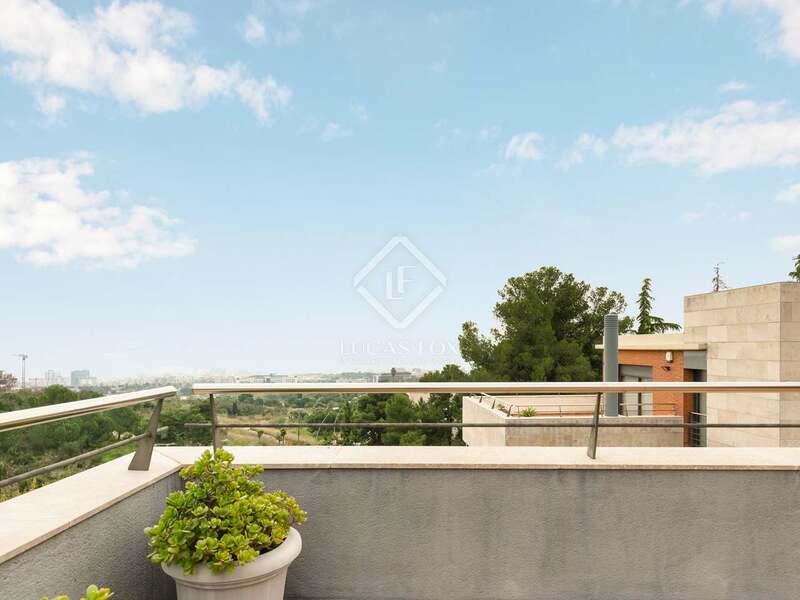 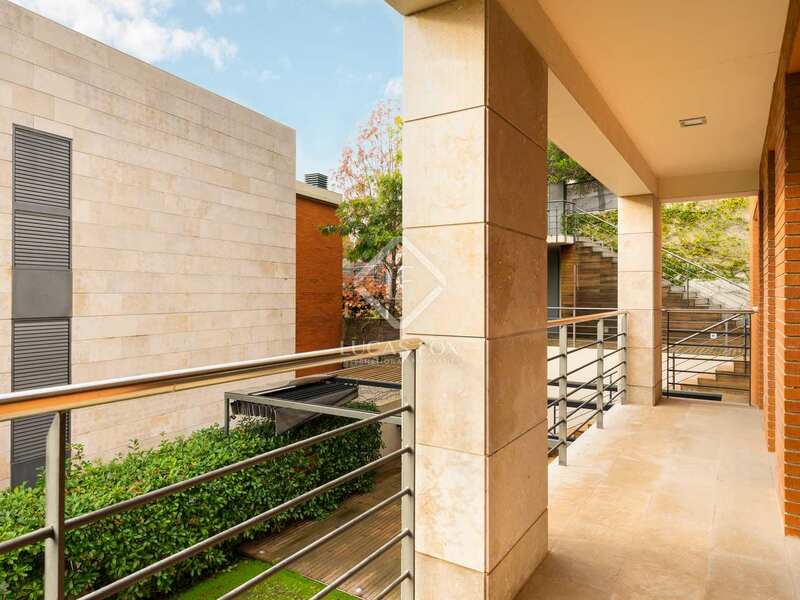 House located in an exclusive urbanization in Ciudad Diagonal, Sant Just Desvern, close to all necessary services and international schools. 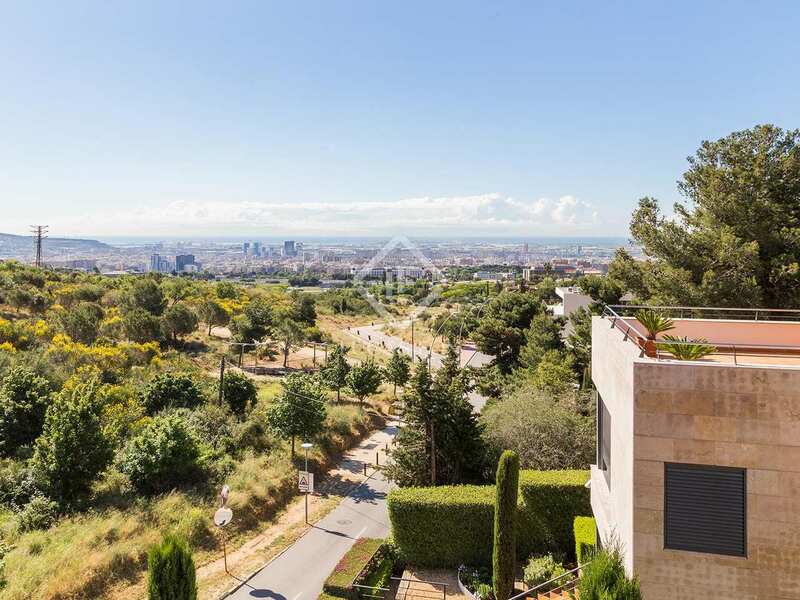 It is also very close to the centre of Barcelona.